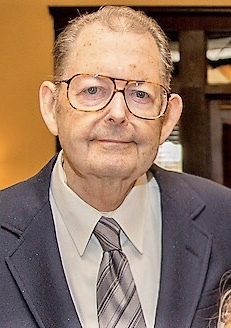 Philip F. Glick, 85, passed away peacefully on March 23, 2019 with his loving family by his side. Philip was born to Francis and Evelyn (Fichter) Glick in Dover, NJ and spent most of his life in Morris County, NJ, including over 35 years in Mountain Lakes, before moving to Dover, Delaware in 2012. Phil is a US Army Veteran and was employed as a technical editor at Picatinny Arsenal for 35 years and at the Dover Advance newspaper as a harness racing columnist. Post-retirement, he worked part-time for Brushfire, Inc. as an editor. He will be remembered for his dedication to his family, his sense of humor and his kind and loving nature. Beloved husband of Kathleen (Brophy) Glick. Devoted father of Philip F. Glick, Jr., his wife Kristen, Hillary Hall Schibel and her husband Dennis. Loving step-father of Timothy J. Schutts and his wife Jennifer. Cherished grandfather of Kaitlin and Allison, Kevin and Liam. Step-grandfather of Kayla and Paige. Dear brother of Evelyn Graham. He is pre-deceased by his first wife Ann Carol Glick. Visitation at the Leonardis Memorial Home 210 Ridgedale Ave. Florham Park on Thursday from 7-9pm. The funeral mass will be held on Friday at St. Rose of Lima Church in East Hanover at 9:45am, followed by the interment at Restland Memorial Park. In lieu of flowers, donations can be made to the Salvation Army, www.salvationarmy.org.